King David wrote a psalm specifically for the ‘Dedication of the House,’ anticipating building the first Temple, the House of Elohim. א מִזְמוֹר: שִׁיר-חֲנֻכַּת הַבַּיִת לְדָוִד. 1 Mizmor; a Song at the Dedication of the House; for David. ב אֲרוֹמִמְךָ יהוה, כִּי דִלִּיתָנִי; וְלֹא-שִׂמַּחְתָּ אֹיְבַי לִי. 2 I will extol You, O יהוה, for You have raised me up, and have not suffered my enemies to rejoice over me. ג יהוה אֱלֹהָי– שִׁוַּעְתִּי אֵלֶיךָ, וַתִּרְפָּאֵנִי. ד יהוה –הֶעֱלִיתָ מִן-שְׁאוֹל נַפְשִׁי; חִיִּיתַנִי, מיורדי- (מִיָּרְדִי-) בוֹר. 4 O יהוה, You brought up my soul from the nether-world; You kept me alive, that I should not go down to the pit. ה זַמְּרוּ לַיהוה חֲסִידָיו; וְהוֹדוּ, לְזֵכֶר קָדְשׁוֹ. 5 Sing praise unto יהוה, O you His devout ones, and give thanks to His holy name. בָּעֶרֶב, יָלִין בֶּכִי; וְלַבֹּקֶר רִנָּה. weeping may tarry for the night, but joy comes in the morning. ז וַאֲנִי, אָמַרְתִּי בְשַׁלְוִי– בַּל-אֶמּוֹט לְעוֹלָם. You hid Your face; I was affrighted. ט אֵלֶיךָ יהוה אֶקְרָא; וְאֶל-אֲדֹנָי, אֶתְחַנָּן. 10 ‘What profit is there in my blood, when I go down to the pit? Shall the dust praise You? shall it declare Your truth? יא שְׁמַע- יהוה וְחָנֵּנִי; יהוה, הֱיֵה-עֹזֵר לִי. יב הָפַכְתָּ מִסְפְּדִי, לְמָחוֹל לִי: פִּתַּחְתָּ שַׂקִּי; וַתְּאַזְּרֵנִי שִׂמְחָה. O יהוה my Elohim, I will give thanks unto You forever. The ‘House of Elohim,’ which we are, has enemies. Sometimes those enemies are ‘internal,’ or crypto-invaders. Antiochus Epiphanes was not very subtle, but, he nonetheless went into the House of Elohim, the Temple in Yerushalayim, and defiled it, erecting a statue of Zeus, offering a pig, and declaring himself the god of Israel. Yeshua’s message at Khunnakah is a portent of things to come that hearken back to this. Antiochus is a foreshadowing of ‘Sheker HaMashiakh,’ the ‘false Messiah.’ Yeshua’s Khannukah message alludes to this. Daniel predicted it, and Yeshua indicated it will happen again. 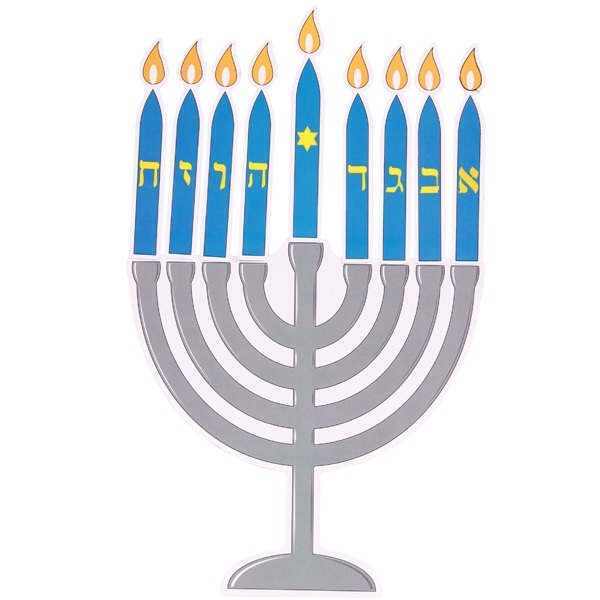 Khannukah, the word itself, means “Dedication.” It is the celebration of rededicating the Temple, the House of Elohim, after the greek king, Antiochus Epiphanes, defiled it. He invaded Yisra’el and desecrated the House with an unclean offering, and a declaration of himself as god. Further, he forbade the Sabbath [including all special Sabbaths, the ‘Moedim’ of Lev 23], circumcision, and the study of Torah. He was the ‘engine’ of “Hellenizing” Israel. While many Jews did go the way of Hellenism, likewise, many did not. In fact, the majority hated all things greek, including the language. They in fact despised Hellenism, or Jews behaving as Greeks. One man, MattetYahu, a Jewish priest, led a revolt. He and his five sons, one of whose names was Yehudah, killed the Jewish sympathizers and the greek ruler who ordered the unclean offerings. Yehudah was so fierce he came to be known as Yehudah HaMakabi, “Judah The Hammer.” He took over when his father, MattetYahu, died, leading the continued rebellion. He successfully liberated the temple, having unlikely victories over the Seleucid armies. The regained freedom occurred on the 25th day of the 9th Biblical month, which SOMETIMES coincides with the 12th ‘roman’ month, but not always. It was winter. He ordered the cleansing of the Temple, which traditionally occurred on Sukkot, but they did not want to wait. They re-lit the Menorah, though having very little of the divinely prescribed oil, and held an 8 day “Sukkot out of season,” in order to restart Temple services that had been forbidden for nearly 4 years. The Hellenization of Israel was slowed, if not altogether forestalled. The Hasmonean ‘dynasty’ began shortly thereafter. But, more importantly, Yisra’el recognized the divine imprint on the victory of the Maccabees, and the restoration of Torah life, to include the Sabbath, circumcision, which is the sign of being a son of Avraham and in covenant with Elohim, and the free study of Torah, opening their ‘public schools’ for their children again. They were now free to raise their children as Jews who believed in YHWH and who worship HIM on HIS prescribed days, teaching them the Torah. For one who is Messianic, who recognizes that Yeshua IS a Jew, and begins to enter into the Biblically proscribed, God-ordained days of worship and assembly, Khannukah has very special meaning. It becomes a personal celebration of victory over those who robbed them of living life as Messiah lived it, keeping the Sabbath [Luke 4], keeping Passover [Yokhanan 13-17], keeping Yom Teruah, Yom Kippur, and Sukkot [Yokhanan 6-8], wearing Tzitziyot, circumcising sons on the eighth day as a sign, as well as being most tender and merciful to His neighbors, and not tolerating the hypocrisy of manmade religion. Yeshua was not born during this winter season, but He was CONCEIVED during this winter season! He was born at Sukkot, and internal biblical evidence heavily supports this. Back up 9 months from Sukkot, and it puts His CONCEPTION at Khannukah! Is not the conception the more MIRACULOUS aspect of His arrival here? Babies are born EVERY DAY. But only ONCE has a baby been CONCEIVED by the POWER of the RUAKH [Spirit] of ELOHIM. And this ‘baby’ would become The LIGHT OF THE WORLD, which is finally lit at Sukkot each year! [Sixteen lamps burning in the courtyard of the Temple for the shepherds to see during Sukkot, when Yeshua was born]. Further, Khannukah is an ‘eighth’ feast among the seven prescribed in Lev 23. It is ‘hinted’ at in the 8th day of Sukkot. It’s an ‘extension’ of Sukkot, into ‘infinity’? 8 is the number that represents ‘infinity.’ The Light of Elohim is indeed infinite. So, we celebrate Khannukah to remember that Elohim watches over His People Yisra’el; to remember that He gave the “hammer” and a few devout Jews favor in defeating a seemingly unconquerable foe. To remember that he showed favor in the rededicating of His House of Worship during a dark time [no prophet in Yisra’el.] He brought light to His House when the pagans were celebrating their gods’ ‘birth.’ He restored the Torah to the children of Yisra’el. And, during this time some 300 years later, conceived His Son in Miriam by the power of His Ruakh, to give us a Savior, the Light of the World. That’s ‘why’ Khannukah!